Northeastern Illinois’ drinking water comes from surface water sources—like Lake Michigan and the Fox and Kankakee Rivers—as well as groundwater from aquifers. About 20 percent of Northeastern Illinois’ population relies on a water source other than Lake Michigan, and about 78 percent of that population relies solely on groundwater. Surface water includes lakes, ponds, rivers and reservoirs. Illinois’ Lake Michigan diversion amount can change significantly based on the amount of rainfall our region has each year. If the amount of rain increases substantially in any given year, less drinking water is available since it is counted as part of our diversion. The Great Lakes system is the largest source (approximately 22%) of available fresh surface water in the world, and Lake Michigan is the second largest of the Great Lakes by volume. Northeastern Illinois borders the shores of this Great Lake, which is the largest public drinking water supply in the state, serving approximately 6.6 million residents. However, Illinois’ use of Lake Michigan water is limited. Since the reversal of the Calumet and Chicago Rivers away from Lake Michigan, most of Illinois is no longer in the Great Lakes watershed. The water we pump out of the lake now flows west and south and ultimately to the Gulf of Mexico. Due to this diversion of water out of the Great Lakes, the State of Illinois is under a U.S. Supreme Court Decree that limits the amount of water it can use. Communities in Illinois that seek to use Lake Michigan as a drinking water source must apply to the Illinois Department of Natural Resources (IDNR), which is the state agency that governs permits for Lake Michigan water and oversees the state’s compliance with the decree. Recent Illinois usage of its water allocation from Lake Michigan has reached about 76 percent of the allowed total. While we may think our region enjoys an unlimited amount of freshwater, that is not true. One of Chicago's water cribs, where water is pumped from Lake Michigan to supply parts of our region with drinking water. In addition to Lake Michigan, Northeastern Illinois also has two rivers that communities use for drinking water: the Fox and the Kankakee Rivers. The Fox River flows 70 miles, beginning near Menominee Falls, Wisconsin, and continues on until it reaches Illinois and flows for 115 miles through the Chicago metropolitan area, before it finally converges with the Illinois River in Ottawa, Illinois. 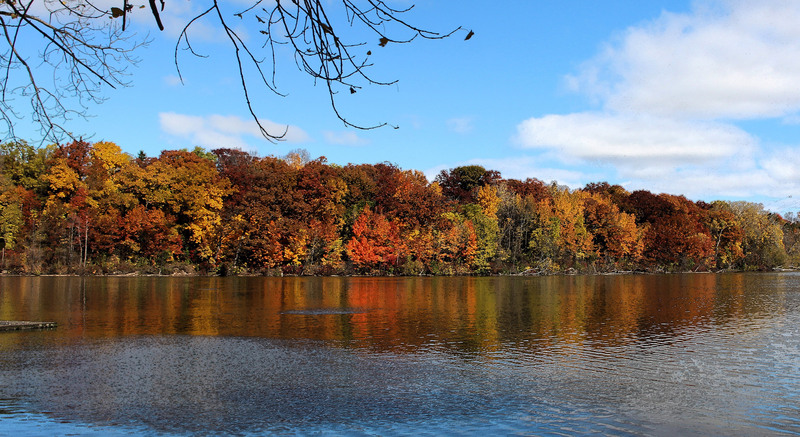 In our region, the Fox River is a partial drinking water source for Aurora and Elgin, Illinois, which represent over 300,000 people in our region. The Kankakee River is approximately 90 miles long, flowing westward from the rural outskirts of South Bend, Indiana to western Will County, where it joins the Des Plaines River and eventually flows into the Illinois River. In our region, the Kankakee River is a drinking water source for Wilmington and Kankakee, Illinois, which represents a population of more than 32,000. Additional communities in our region are exploring the use of these two rivers as a drinking water sources for the future. The Fox River is another surface water source that provides drinking water for communities in Northeastern Illinois. is the water beneath the surface of the earth, consisting largely of water that has seeped down into the ground over time. Groundwater feeds springs and wells. A watershed is the specific land area that drains to a lake, river or stream. 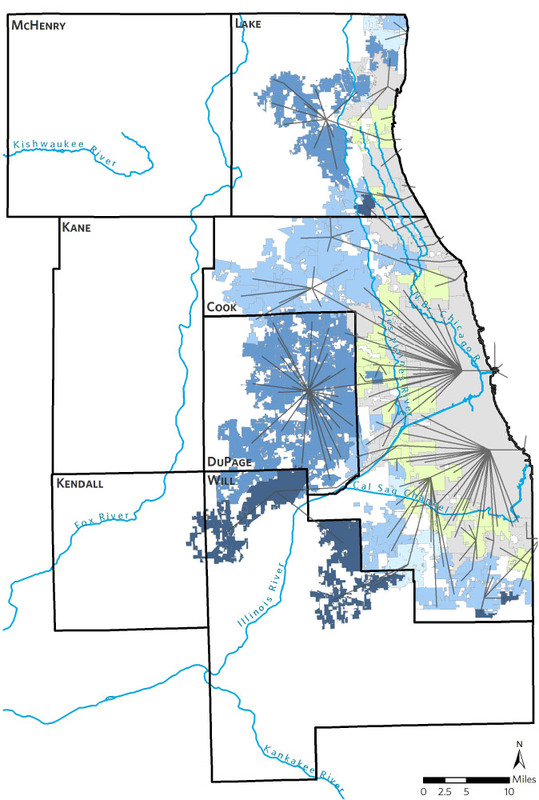 Watershed boundaries often overlap with multiple municipal, county and state lines, which means strong coordination between these governance boundaries is needed. Groundwater is underground, held in soil or in the pores and crevices of rock. Most communities around the world get their drinking water from beneath the earth’s surface. Here in Illinois, there are two main types of aquifer: shallow and deep. Shallow aquifers lie within 500 feet of land surface, while deep aquifers are located at depths of at least 500 feet below the surface. 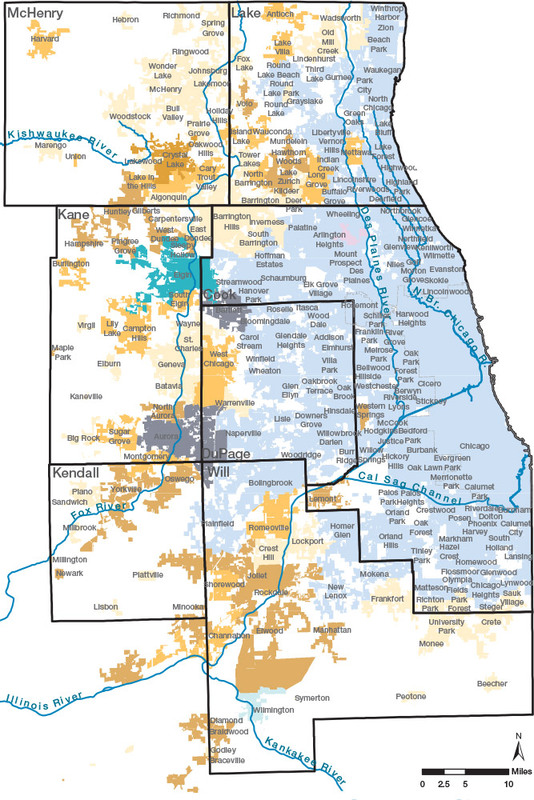 Deep bedrock aquifers supply the majority of drinking water for groundwater-dependent communities in Northeastern Illinois. Both shallow and deep aquifers have different challenges that need to be addressed. 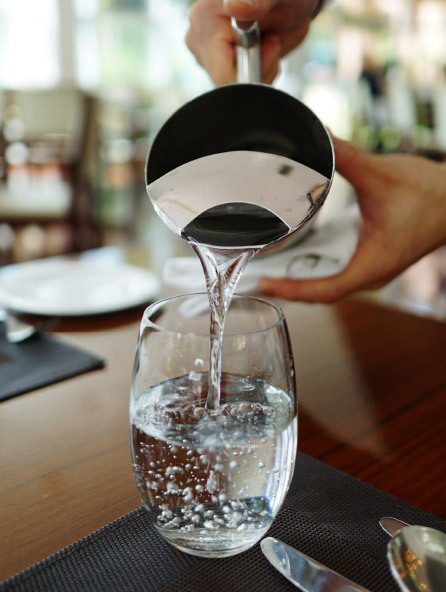 The more minerals—such as saline water, barium, radium or other elements—that need to be removed from a groundwater source, the higher the treatment costs. Groundwater recharge is an important part of the hydrologic cycle. When there’s precipitation, water moves through the surface of the earth to natural storage areas below the ground, which “recharge,” or refill, these water sources. The more impervious the land cover—such as buildings, pavement and concrete—the less water reaches these water sources to recharge. A deep bedrock aquifer can take many decades to recharge through rain and snowmelt. While shallow limestone, or sand and gravel aquifers in Northeastern Illinois recharge faster than deep bedrock aquifers, they are more susceptible to contamination and can be depleted faster when used for drinking water. And shallow aquifers can impact surface water and wetlands since they are interconnected and often exist directly above or near these resources. The depletion of aquifers reduces both water supply availability and quality. The consequences of over-pumping water include potential contamination and increased energy usage, both of which lead to increased treatment costs, before, eventually, wells become unusable. Water is in constant flux and change. The hydrologic cycle is the continuous movement of water above, below and along the earth’s surface. This cycle affects the availability of water supply, which is why planning for the impact of climate variations on drinking water is critical for local communities. This image demonstrates how complex the system of Lake Michigan water use is. Most communities purchase their Lake Michigan drinking water from other communities, resulting in a complicated system of governance and infrastructure. *Water distribution direction is illustrative. Source Illinois State Water Survey, 2014. There is a lot of effort and resources that go into providing safe, clean drinking water. is water that is safe to drink or to use for food preparation without risk of health problems. It is the product of taking raw water—from surface or groundwater sources—and treating it to regulatory standards. Every time we turn on the faucet, we expect clean, safe water. Making water potable isn’t easy: Technically trained operators and engineers carefully track and monitor the treatment process to ensure our communities enjoy safe drinking water. One of the most important actions a community can take to protect its water supply is to keep its water source clean. At a municipal level, this means putting restrictions on industrial waste disposal, implementing pharmaceutical drop-off programs and reducing overuse of fertilizers, road salt, sanitary sewer overflows and septic tank malfunctions, which can pollute drinking water sources. The quality, characteristics and challenges of a water source define the best treatment option. Challenges can include noxious gases, dangerous chemicals, minerals, bacteria, microorganisms, viruses, suspended solids and sediments. The largest water treatment plant in the world is right here in Illinois. 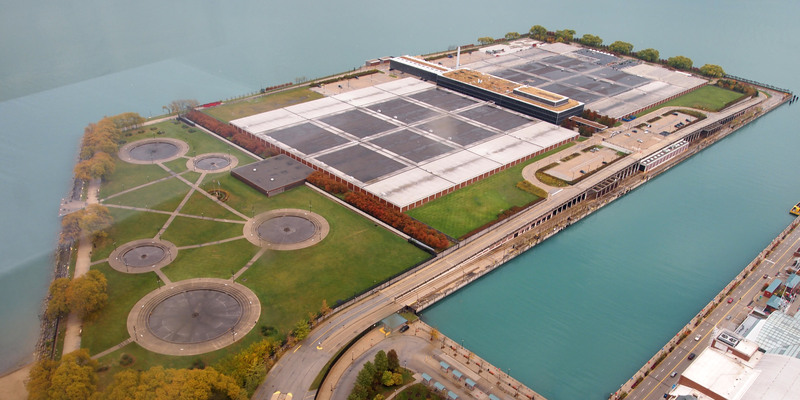 It’s the James W. Jardine Water Purification Plant in Chicago. Between this plant and the Eugene Sawyer Plant, Chicago can process almost one billion gallons of water a day for our region. It is important to understand the extensive infrastructure that delivers drinking water to our homes, businesses and schools. Wells or intake pipes collect water, treatment plants acquire and purify water, water mains, pumps and pipes transport water and towers and reservoirs store and pressurize water. First, water is collected from the source, either groundwater or surface water. Water from groundwater aquifers is pumped using wells. Surface water is obtained through an intake pipe. This source water is then piped into a water treatment facility. Water utilities require high-capacity wells or intakes, powerful pumps, large pipes, as well as a power source (electricity) to drive the pumps and obtain source water. Groundwater sources generally require more electricity due to the increased need for pumping the water up from the wells to the treatment plant. Once source water is collected, treatment processes produce potable water. Treatment plant infrastructure—such as the facility itself, which includes a lab for testing—requires chemicals, screens, tanks and settling ponds, which are designed to meet the specific needs of the water source conditions and quality. We have all seen the municipal water towers throughout our communities. A water tower is an elevated structure supporting a water tank constructed at a height sufficient to pressurize a drinking water system in order to distribute drinking water, meet peak demands and provide emergency storage for fire protection. Once needed, potable water is pumped to users via a complex network of underground pipes. Pressurized pipes deliver water to schools, homes, commercial buildings and industry. The pipe networks also contain many valves throughout the system to control location, pressure and water flow. These materials deteriorate over time. Old pipes require replacement to avoid unnecessary leakage (waste of drinking water) or corrosion, which can release harmful or unwanted chemicals into the water. Water is delivered to our homes, businesses, schools and organizations for us to use and enjoy through a complex web of pipes. The main line pipes are owned and maintained by our water utilities. However, often times the water pipes that run from under the street to individual buildings are the responsibility of the property owner. Maintaining this infrastructure is important for public health, so that we can continue to consume safe water, which is then sent down another set of pipes to be treated by our wastewater utilities. Generally, peak water demand occurs in the mid-morning and early-evening hours. To accommodate the fluctuations in demand, stored water is often withdrawn and used during these peak demand hours and the water tower is replenished during minimum-demand times in the late-night and early-morning hours. What is our municipality’s drinking water source(s)—where does our drinking water come from? Do we produce (treat) our drinking water, or do we purchase drinking water from another community? If you produce: What treatment processes do we employ at our plant to ensure our water meets regulated potable (drinking water) standards? If you purchase: Who do we purchase our drinking water from? How are we storing or otherwise ensuring we have enough drinking water supply for peak demand in our community? Illinois Environmental Protection Agency. Lake Michigan Monitoring Program. Springfield, IL. 2015. The US Army Corps of Engineers. Lake Michigan Diversion Accounting: Annual Reports By Year. Chicago, IL. 2017. United States Environmental Protection Agency, Office of Water. 2006 Community Water System Survey Volume I. Washington, DC. 2006. City of Chicago. What We Do: Water Supply. Chicago, IL. 2017.